We’re taking a break from Christmas to bring you a closer look at this stunning Sunlit Flower Card Making Kit from Altenew. If you’re looking to build your Altenew stamp stash, then this is the perfect kit for you! It includes pretty much everything you need to make breath-taking projects, and even includes inspiration! This kit includes a beautiful floral stamp set featuring two multi-step flowers, leaves, and a couple of sentiments. 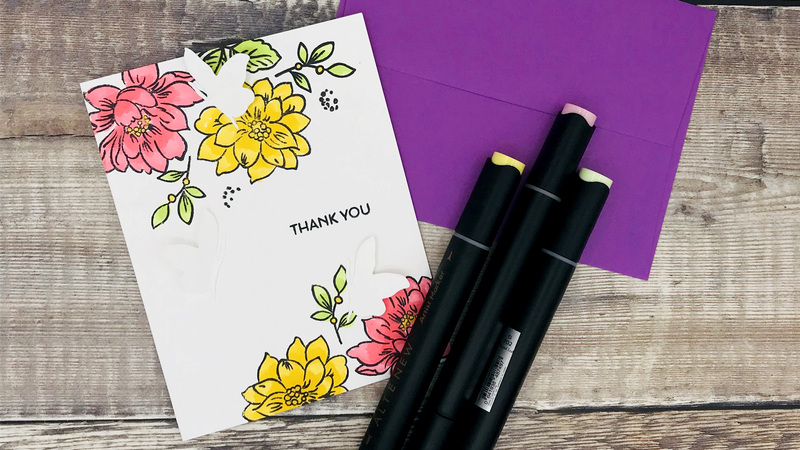 The flowers include an outline image which can be stamped and coloured with various colouring media, or combined with the filler and shadow images. The accompanying die set allows you to create beautifully layered butterflies to complement the flowers. Buy your Altenew Sunlit Flowers Cardmaking kit from Craftstash!